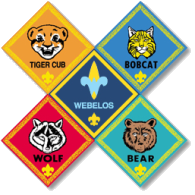 Below is a list of Akela who make Pack 3789 great for the scouts. Please contact any of us if you have questions or comments. Pack Trainer Entire Pack Pack Level Forming Soon! Forming Soon!